For several years, colleges, universities and some geospatial vendors have been offering online classes in various capacities. As companies offer fewer training courses within their facilities, and professionals have less time to travel to classes, we have seen the rise of these courses offered by universities and even software companies. What do these classes contribute to the whole educational fabric of GIS? PenBay Solutions’ chief technology officer, Stuart Rich, spoke with me at Esri UC 2016 in San Diego about the company’s leveraging of GIS to solve facilities management problems. 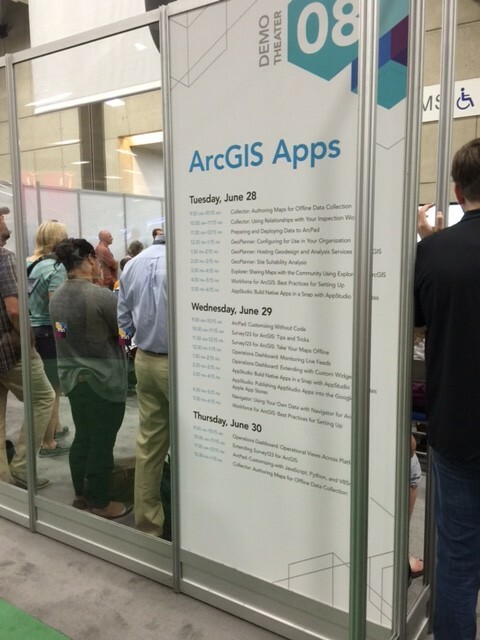 The ArcGIS Apps technical sessions in the Exhibit Hall were among the most popular attractions at the Esri User Conference 2016 this year. This technical session was about managing and deploying your data on devices, namely, the iPad with ArcPad, presented by Esri’s Denise King.